Hey y'all! Yep. Two posts in one day...again! ;) And this card is for the new Waffle Flower challenge! 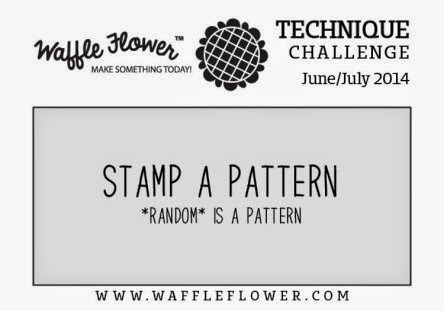 I love Waffle Flower stamps and when I saw there was going to be a challenge started, I was excited! :) Some really fun stuff! Love your card. Clever way to combine both challenges! So cool! I love how you stamped the sentiment across that layer! Perfect! 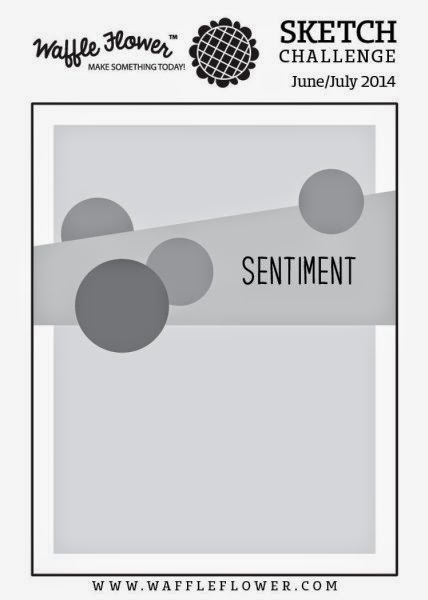 Love how you highlighted the sentiment in the blue, wonderful graphic patterns! WOW Shelly!! Fabulous take on the WFC Sketch!! Thanks for playing along with us!! This is very cute. I love the colors! 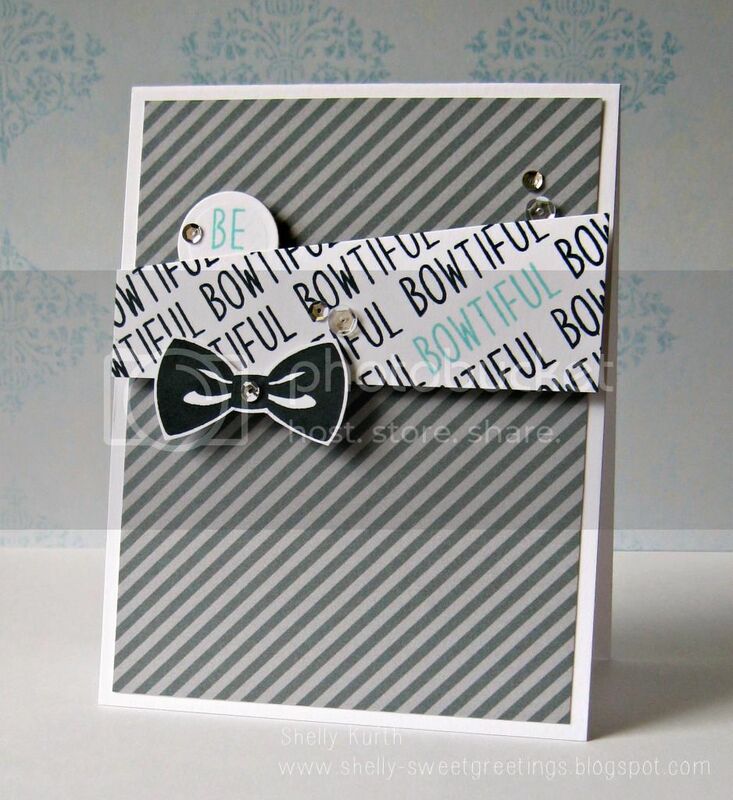 Awesome card Shelly... that bow is so cute! Awesome card, Shelly, this is such a fun sketch! I love how you kept the colors muted and neutral! Gorgeous and sophisticated! Love Love Love the sentiment background panel!! Plus the pop of blue's fabulous!!! Awesome take on the sketch!! A no card, quick post update!